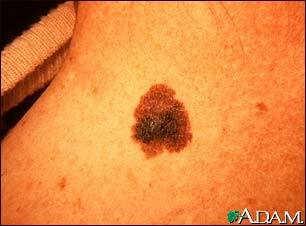 This melanoma on the neck is variously colored with a very darkly pigmented area found centrally. It has irregular borders and appears to be larger than 0.5 cm. Prognosis in melanoma is best defined by its depth on resection.